Royce Buckingham has done it again. 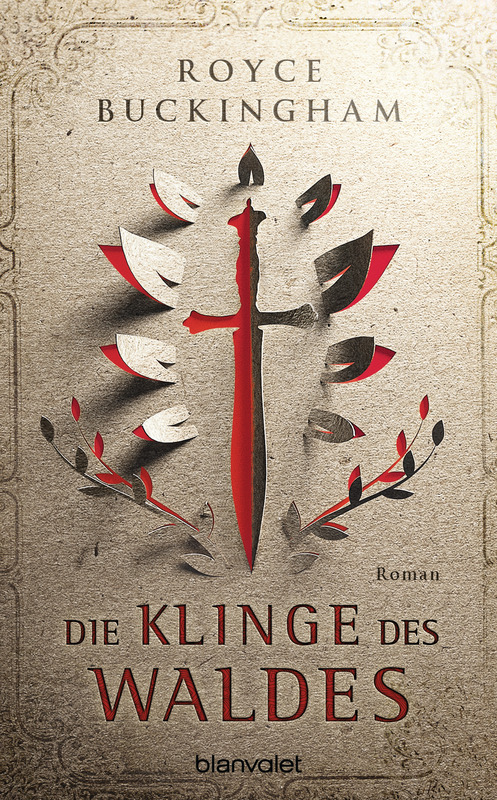 He’s penned the amazing new medieval fantasy, Die Klinge Des Waldes (Verlagsgruppe Random House – Blanvalet, Germany) due out this fall. Royce took a few minutes to talk about writing fantasy, his newest project, and how it’s connected to his best-selling Mapper Series (Penhaligon/Blanvalet). A: Because I have so many stories in my head. If I don’t get them out, they’ll drive me crazy! A: Medieval Fantasy. I used to like horror stories best. Then I had kids, and horror movies lost their luster. Teens getting killed in the woods doesn’t intrigue me now that I’m not a teen and I have a couple of them. I do still love a good monster story. Q: What is it about Medieval Fantasy? A: I like the idea of chivalry that is associated with the (loosely interpreted) time period. I’m not sure if people actually were chivalrous, but the concept makes for good character motivation, hypocrisy, and internal conflict. The other fun I have toying with the medieval genre goes back to Dungeons & Dragons, where I learned to imagine medieval scenarios. I have a strong vision of what fantasy medieval worlds can look like. I also like the low-tech setting. In my new novel, Die Klinge Des Waldes (BLADE to my US fans), I have an inventor who designs and builds things that I get to dream up. They seem fantastical, but possible. It’s hard for me to write sci-fi these days. With the advances in the technology of our time, it’s difficult to imagine innovation beyond what innovators are actually doing. We’ve been wowed to death by amazing tech. It’s easier for me (and fun) to imagine what might be astound people in medieval times. Q: What’s an example of that? Q: Where do your stories come from? I also ask myself, “what if?” The answer is then the story. For Die Klinge Des Waldes, I thought “What if you took a Disney princess and had awful things happen to her? How would she handle that?” The answer in my world is: not very well initially. The ways people deal with conflict is what makes for a good story. The more challenging, the better. The struggles of a fallen princess are especially awesome. Q: Die Klinge Des Waldes (Blade) features a strong female protagonist. In your dozen or so previous books you’ve used primarily male protagonists. Did writing a female change your approach to this story? A: The Mapper Series had a female protagonist in one book, and I enjoyed working with a female lead. Building on that experience, this character is even more well-developed. She should appeal to both men and women. Her struggles are very human and mostly genderless (such as “I don’t want to get killed”), but she lives in a world where being female has its own unique challenges. Q: What drives your stories first–character, plot, world-building? A: It used to be the plot, but now I am more character-focused. Readers like characters. If readers love the character, they want to see what that character will do, even if the conflict is as simple as, “what’s for dinner?” For this work, I focused more on our princess’s evolution than the events around her. But of course a zebra can’t change its stripes. There are still some big plot twists! Q: How else has your writing evolved? A: My world-building has gotten better. When you read Die Klinge Des Waldes, you experience a complete and detailed world. Having environments that are really developed is fun for readers. It’s very much like Game of Thrones, in which the world is extensive and has many distinctive characters and locations. The city I’ve created in Die Klinges Des Waldes has 35-districts, each with its own personality. It’s almost like Munich, Barcelona, Lagos, Seattle, Tokyo, and Rio all pushed together beside each other to form one big city, only its medieval. Q: What is your favorite district? A: The Carnival District! And it’s the favorite of the city’s citizens as well–parties, performances, politics, and a crazy/brilliant Duke who runs the show. I’m pretty sure it’s also the favorite of my editors who created a blow-up of the carnival castle and circus tent on one of two beautifully illustrated maps for the novel. Q: Yes. Tell us about the maps! They seem to be an important part of your medieval fantasy books. Can you talk about that? Q: Was that a fun process for you? A: Oh yeah. Yes! I have to admit I really dig making maps. In fact, I got a little obsessive and spent a week re-reading my entire 600 page novel to get every location right. Then I sketched it like a kindergartener…or at least a kindergartener with Photoshop. I also wrote three pages of detailed notes about the map. Random House hired a professional who translated all of the materials I provided into beautiful maps for the interior of the novel. It was awesome! I don’t think every author gets that much creative input with their novels’ artwork. My publisher did, however, reject my cover idea. They said my concept was too polarizing, and then they sent me the beautiful cover they had already created. Q: What do you love about Die Klinge Des Waldes? A: I love Flora. She’s a complex person. She starts simple and becomes very complicated. It’s like watching her grow up, only there are wars and swordplay and mechanical elephants that shoot flame from their trunks. Q: Why should other people love the story? A: It’s big and cinematic and intimate at the same time. We get to know a lot about Flora, and then we get to see her on a huge stage trying to deal with disasters, triumphs, and everyday problems, like the overthrow of entire kingdoms and spats with her older sister. Q: What’s different about this story from others that you have written? A: This is an adult story, and so it is different than my bestseller Damliche Damonen (Demonkeeper) in the same way that Game of Thrones is different from Lord of the Rings. Q: What’s next for you? Any new projects on the horizon? A: Yes. I am always thankful that my editors believe in my work. I am currently writing another medieval fantasy with Blanvalet. It’s due at the end of the year, and I expect will be released some time in 2019. Q: Is Die Klinge Des Waldes going to be available for U.S. fans to read? A: I certainly hope so. I will be taking it to US publishers soon. But that’s a new blog entry entirely…. Stay tuned!